We’ll perform a physical exam that meets US DOT and Federal Motor Carrier Safety Administration (FMCSA) requirements for a commercial driver’s license. If you require corrective lenses, or hearing aid, bring them with you. Wear comfortable clothes and bring any required information needed to fill out the DOT Medical Examination Report; "Driver Information," and "Health History" sections as well as a list of any current medications. You may fill out the form online and print it before your appointment to save time. Avoid excess stimulants, caffeine and nicotine prior to the exam, and drink water in preparation to providing urine for testing. Insurance is not accepted for physicals, and $95 payment is due at time of visit. We will complete your Medical Examination Report for Commercial Driver Fitness Determination form, provide a summary of your exam and a Medical Examiner’s Certificate as appropriate. We also can send the summary to your primary care provider at your request. Please note that additional charges apply for labs and tests. Labs and tests cannot be purchased separately. They will only be given as part of a paid exam. If you have a complex medical history, please bring any prior doctor or specialist notes or records with you to facilitate faster service. Perform a thorough physical exam. Provide an exam summary, which can be sent to your primary care physician at your request. 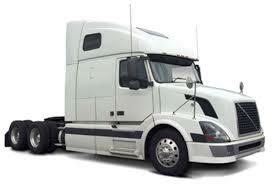 Complete the Medical Examination Report for Commercial Driver Fitness Determination form and supporting documentation. Federal law requires that drivers of commercial motor vehicles (CMVs) receive periodic physical examinations. This examination is defined as the "Department of Transportation (DOT) Medical Examination." The DOT physical examination is highly regulated. Its purpose is to detect the presence of physical, mental, or emotional defects that would affect an applicant's ability to operate a commercial vehicle safely. The examiner must understand the regulations to prevent individuals from being inappropriately disqualified from their livelihood. Conversely, in the interest of public safety, the practitioner is responsible for identifying those individuals who do not meet the criteria. During this test, the applicant’s health history is carefully reviewed, including past or recent illnesses or injuries (including head or brain injuries); vision, hearing or heart disorders; the presence of high blood pressure, muscular weakness or disease, diabetes, digestion, or respiratory problems; and the health of the lungs, kidney, liver, and nervous system. It is mandated by federal guidelines that anyone applying for a CDL must pass the Department of Transportation health exam. The purpose of this exam is to determine whether an applicant is physically capable of driving safely at the present time as well as in the foreseeable future. Successfully passing the exam means you have 24 month before you need to do it again, although in some instances this period might be shortened in case that serious health problems might appear in the future. The basic requirements for passing a DOT physical exam are:. Maximum allowable blood pressure is 140/90. Use of prescription medication to achieve this threshold is permitted. Cannot have diabetes that requires insulin injections(unless you have a diabetes exemption from FMCSA); diabetes controlled through a diet or oral medication is permitted.